Start your partnership on the right foot with our posh New Haven Partner Desk. Each is Amish handcrafted from your choice of solid American hardwood. Some say the key to a successful partnership is space. Countryside's elegant New Haven Partner Desk offers plenty of that. 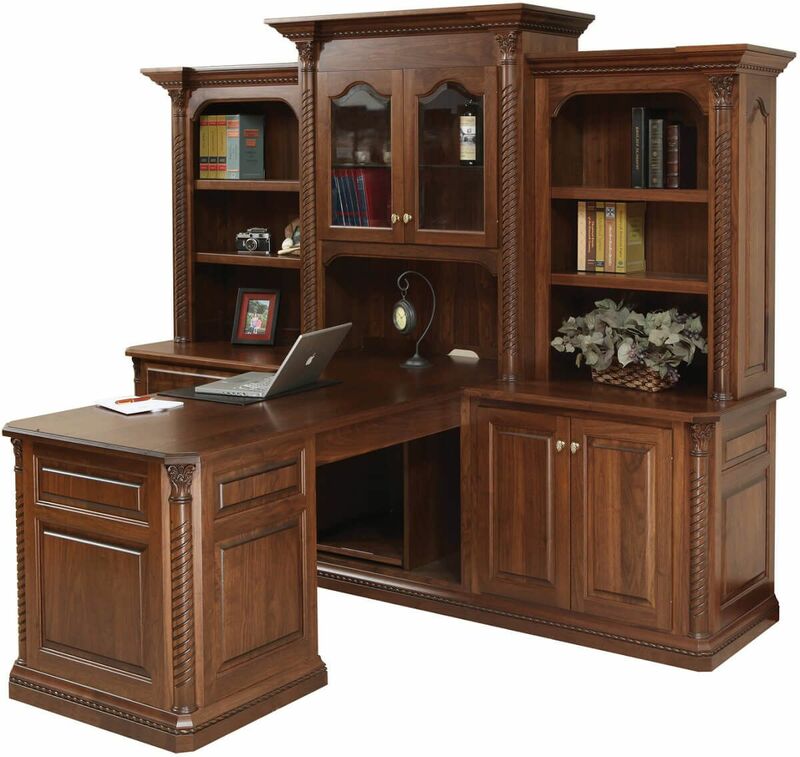 On one side, this executive quality desk boasts two lateral filing drawers, a pencil drawer, and a 3-drawer stack to store just about everything. From the other side, tucked behind two doors you find an adjustable shelf. With a surface area that is 30" x 74", two heads can certainly be better than one at addressing the matters at hand. When you choose to add the optional hutch, you suddenly acquire two adjustable shelves per partner and a center cabinet with glass doors and touch lighting. The remaining open deck of the hutch ensures that works space is not infringed upon by the shelving addition. Each section of the New Haven Partner Desk boasts detailed rope moulding, raised panels, and gorgeous braided corner posts. You and your partner can determine the rest of the details by completing our online options menu and Countryside will craft the beginning of a beautiful relationship and deliver it to your home or office.